From historic oceanfront resorts to intimate cottage colonies tucked into the hillsides, Bermuda offers many idyllic choices for where to stay. Private beaches, rolling golf courses, fine dining and attention-to-detail service are just some of the perks you'll find. The island's hotels, resorts, bed-and-breakfasts and historic inns are all dedicated to making your time here positively heavenly. After a few days, you'll understand why Mark Twain famously said, "You can go to heaven if you want. I'd rather stay in Bermuda." From golf courses and spas to great onsite dining, discover all the amenities you desire. For an intimate island hideaway, retreat to a cosy B&B, quaint inn or historic guest house. Ease into island life in a spacious waterfront cottage. One-of-a-kind Bermuda vacation rentals are available island-wide. Find the rental that matches your travel plans – and budget. 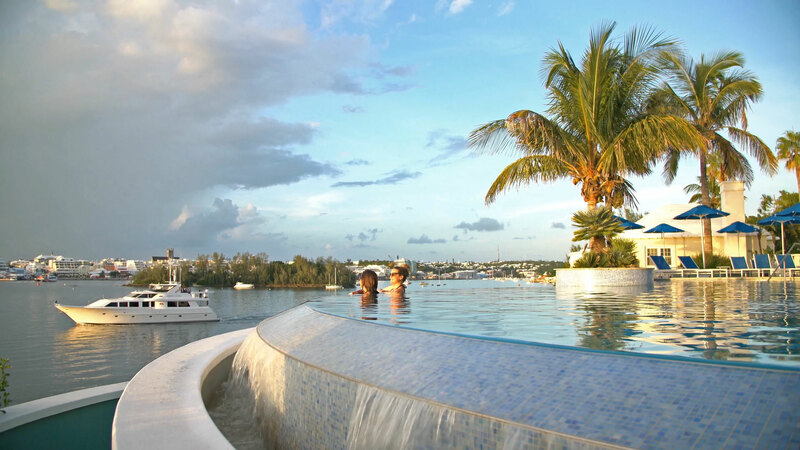 The most discerning travellers gravitate toward Bermuda's exclusive oceanfront clubs.